Photo courtesy of Gail Shrine. Jacksonville, FL (January 13, 2016) – This weekend, gorgeous feathered horses are moving into the Jacksonville Equestrian Center. The 80-acre equestrian paradise in Jacksonville, Florida will host the Gypsy Vanner National Championships and the FL Feathered Horse Classic on January 14-17. Gail Shrine, owner of the Feathered Horse Classic competition series, invites all horse lovers to come view these magnificent animals at the Gypsy Vanner National Championships and FL Feathered Horse Classic, which was founded a decade ago. The event is free to spectators. With free admission and free parking, guests will be able to watch more than 125 horses from all over the United States compete in a variety of equestrian events, including halter, western pleasure, dressage, western dressage, hunter, liberty, driving, English pleasure, trail, and more. The Jacksonville Equestrian Center is a multifaceted facility on an easily accessible site off major highways in Jacksonville, Florida. Equine amenities include an enormous indoor arena, outdoor arenas, and over 400 stalls. There are also miles of riding, hiking, and biking trails accessible from the Jacksonville Equestrian Center. The Jacksonville Equestrian Center is a part of a recreational park that includes picnic pavilions, a gymnasium, and an Olympic-size indoor pool. For more information, visit www.jaxequestriancenter.com or call Penny Gorton at 904-255-4227. Jacksonville, FL (December 4, 2015) – The Jacksonville Equestrian Center hosted an equestrian version of a “turkey trot” to celebrate Thanksgiving this past weekend. Instead of runners racing off extra holiday calories, horses and riders poured into the Jacksonville Equestrian Center for a barrel racing extravaganza on November 26-29, 2015. Fiddler’s Trailer Sales sponsored the event, which is now in its 13th consecutive year. The Fiddler’s Turkey Run was an immense success, featuring $95,000 in prize money, and plans to return to the Jacksonville Equestrian Center next year. 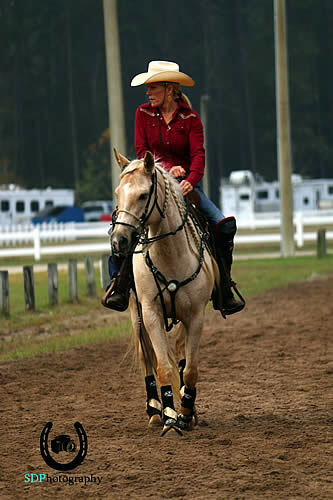 The Jacksonville Equestrian Center has become a popular event venue for a variety of equestrian sports. The facility came under new management last year, and has since invested in significant upgrades to its venue, which includes several outdoor riding rings and a 3,500-seat 150′ x 300′ indoor stadium. The indoor stadium was used for the Fiddler’s Turkey Run last weekend. Young Laney Robinson earned the fastest time around the barrels at the Fiddler’s Turkey Run, who was awarded a beautiful pair of silver spurs donated by Amanda Weekley. The Fiddler’s Turkey Run was a WPRA sanctioned barrel racing competition. Although competition was fierce, the show organizers made sure there was also some “just for fun” competition in the form of a potato sack race! The Jacksonville Equestrian Center will continue to host equestrian events and other community-focused events throughout the rest of the year. This weekend will feature the Winter Dressage on the First Coast equestrian event. Riders will compete with their horses in the equestrian sport of dressage on December 5 and 6. The following weekend, the Jacksonville Equestrian Center will welcome the USDAA Pals & Paws Agility Trial. Spectator admission and parking are free for those wishing to watch canine athletes in action on December 11-13. For more about the Jacksonville Equestrian Center and to find out how to host your event at this multifaceted facility, visit www.jaxequestriancenter.com or call Penny Gorton at 904-255-4227. Photo courtesy of Jimmy Richardson. Jacksonville, FL (October 28, 2015) – “The Jacksonville Equestrian Center is awesome. We love the facility and have every expectation of returning with our horse show next year,” said Jessica Altum, 4-H Animal Science program coordinator and horse show supervisor for the 2015 Greater Jacksonville Agricultural Fair Association 4-H & Open Horse Show. The show was held this October at the Jacksonville Equestrian Center in Jacksonville, Florida. The annual Greater Jacksonville Agricultural Fair Association 4-H & Open Horse Show hosted more than 70 4-H, FFA (Future Farmers of America), and Open riders. The young riders, all between the ages of eight through 18, competed in English, Western, Speed, and Trail divisions at the 80-acre equestrian and recreational venue’s spacious indoor and outdoor arenas. The entire horse-centered property was buzzing with young competitors and their families and supporters. “We used the indoor arena for our Speed, Halter, English, and Western divisions. An outdoor arena was used for our trail class,” said Altum. The over 400 permanent stalls at the Jacksonville Equestrian Center played host to a stall decorating contest, boasting the creativity of the 4-H clubs and all who made the facility home for the weekend. The 78 RV hookups on-site at the Jacksonville Equestrian Center were available to anyone who wanted to camp near their horses. “The Jacksonville Equestrian Center is really moving in an upwards direction,” commented Altum after the show. “The footing has gotten much better, and we always appreciate all the support they give us in 4-H.” Altum said this was the third horse show she has been a part of at the facility. The Jacksonville Equestrian Center came under new management just over a year ago, and has invested in significant upgrades to its venue – including new footing for its riding rings and 3,500-seat, 150′ x 300′ indoor stadium. The Jacksonville Equestrian Center will continue to host equestrian events and community-focused events throughout the rest of the year. Most recently, the AKC Pals and Paws Agility Trials is took place on October 23-25. The November calendar includes the First Coast Classical Dressage Challenge Schooling show, Backwoods Country Jam Concert with Lee Brice (Opening artist will be Maddie and Tae), and Fiddler’s Turkey Run Barrel Racing Competition. In December, the Jacksonville Equestrian Center and its new management will wrap up the successful year with the Winter Dressage on the First Coast Competition, and USDAA Pals and Paws Agility Trials. For more about the Jacksonville Equestrian Center, at 13611 Normandy Boulevard in Jacksonville, Florida, visit www.jaxequestriancenter.com or call Penny Gorton at 904-255-4227. Jacksonville, FL (August 24, 2015) – The spectacular facility at the Jacksonville Equestrian Center is recognized as a top-notch setting for competition, and now many riders are also turning to the Jacksonville Equestrian Center as an ideal location to school their horses. The 80-acre Jacksonville Equestrian Center has opened its doors to riders to use its premier grounds for schooling in the coolness of the impressive 123,000 square foot indoor arena. Schooling at the Jacksonville Equestrian Center allows equestrians the chance to introduce their horses to the feel of a major showing venue without the high costs associated with competition. For just $10.00 per one horse and rider, or $20 for a rider with multiple horses, schooling is permitted in the state-of-the art indoor competition venue. Rising seating for 3,770 spectators surrounds the 150′ x 300′ arena, and premium new footing was just installed this summer. Kelley Christy agrees. “It’s a wonderful facility. It is very much like the places that we show.” The couple is familiar with the United States’ top showing facilities – Kelley has been recognized with many prestigious honors throughout her Quarter Horse training and showing career, including winning numerous Top Five awards at the All American Quarter Horse Congress. Rick has judged such major horse shows as the AQHA World Show, the NSBA World Championship Show, the All American Quarter Horse Congress, the Reichert Celebration, and the Southern Belle. Riders of all disciplines are invited to join these professionals in schooling their horses at Jacksonville. All that is required to school is the small usage fee and a current Coggins certificate. For riders who would like their horses to experience a more energetic atmosphere while schooling, Community Night Schooling events are held periodically at the Jacksonville Equestrian Center. The next one will be on November 24 from 4:00 pm to 9:00 pm. Other upcoming events at the facility include the Ride Lite Dressage show on September 5-6, then the Southeast Medal Finals championship jumping competition on September 17-20. In October, The Greater Jacksonville Agricultural Fair Association 4H Horse Show will take place on the 17th, with prizes available for 4H participants of all riding disciplines. Canines will also show off their skills at the AKC Pals & Paws Agility Trial on October 23-25. Another highly anticipated event for the town of Jacksonville is the Lee Brice concert, to be held on November 14 at the Jacksonville Equestrian Center. The Jacksonville Equestrian Center is located at 13611 Normandy Blvd in Jacksonville, Florida. The multi-faceted event center hosts equestrian, sporting, recreational and community events. For information about schooling or attending or scheduling events, visit www.jaxequestriancenter.com or call Penny Gorton at 904-573-3649. Photo courtesy of Jacksonville Equestrian Center. Jacksonville, FL (July 24, 2015) – Eighty acres of horse paradise in Jacksonville, Florida – complete with a giant indoor arena, outdoor show rings, and over 400 stalls – is ready to welcome all riding levels and disciplines for prime events and horse shows this fall. The Jacksonville Equestrian Center has served the equestrian community for the past decade. This year has already been packed full of exciting events and competitions, and the fall line-up promises to be just as successful. The Jacksonville Equestrian Center will ring in the autumn season with the Ride Lite Dressage show on September 5-6. Next up will be the Southeast Medal Finals on Thursday September 17 through Sunday September 20. The Southeast Medal Finals is the championship hunter, jumper, and equitation competition for USEF Zone 4 and ASPCA Maclay Region 3. The 3,700 seats in the indoor arena will be filled with supporters and hunter/jumper enthusiasts watching adult and young riders vie for first place. As the Jacksonville Equestrian Center spent the summer installing new top-quality footing, competing at the facility will be better than ever for the riders this fall. September will close with the First Coast Classical Dressage Challenge schooling show on September 26-27. In October, the facility will present opportunities for young riders of all disciplines, and dog lovers too! The Greater Jacksonville Agricultural Fair Association 4H Horse Show will take place on October 17, with prizes available for 4H participants of all riding disciplines. The following weekend, on October 23-25, a smaller four-legged breed will be showing off its talent at the Jacksonville Equestrian Center. The AKC Pals & Paws Agility Trial will feature AKC registered dogs crawling through tunnels, climbing A-frames, and weaving obstacles. Already this year, visitors to the Jacksonville Equestrian Center have enjoyed such events as The National Team Roping League’s “Rope for the Truck Event,” featuring ropers showing off their teamwork and roping skills to rope steer. The winner received a brand new truck. In April, over 450 dogs competed in the 2015 CPE National Agility Event. Then horses were back on the scene in May with two back-to-back USDF Region 3 Dressage qualifier competitions. The Jacksonville Equestrian Center is located at 13611 Normandy Blvd, in Jacksonville, Florida. The multi-faceted event center hosts equestrian, sporting, recreational, and community events. For information about attending or scheduling events, visit www.jaxequestriancenter.com or call Penny Gorton at 904-573-3649. Jacksonville, FL (June 18, 2015) – The Jacksonville Equestrian Center wrapped up a sparkling spring season at their state-of-the-art equestrian center, proving once again that the equestrian center is the “crown jewel” of the park. From team roping to dog agility competitions to dressage horse shows, excitement was in the air as the center held an array of events that drew competitors and spectators from around the country. During their action-packed season, the 80-acre Jacksonville Equestrian Center hosted The National Team Roping League’s “Rope for the Truck Event.” Ropers showed off their team skills as they worked in tandem to rope steer while also hoping to take home the coveted prize – a brand new truck. Puppy love was in the air in April during the 2015 CPE National Agility Event, hosted by Pasco Paws Dog Training, also held at the Jacksonville Equestrian Center. Fans of agility were treated to over 450 dogs jumping, weaving, running through tunnels and climbing A-frames as they took part in agility classes. Thanks to the equestrian center’s 78 RV spaces, dogs and their owners were able to arrive in style, stay on-site and enjoy the many amenities offered by the center. Kelli Hayes, of Pasco Paws Dog Training and the Trial Chairman for the CPE National Agility Event, commented on her first impressions of the Jacksonville Equestrian Center. “We looked at numerous sites in the Southeast United States to hold our event. Our initial planning was about two years prior to the event, and many sites we spoke with were not willing to make a reservation that far out,” Kelli said. “We needed to secure a site before we could move forward in our planning. The Jacksonville Equestrian Center was extremely helpful during that time with booking our reservation and working on the fine details of our contract. That initial customer service made a huge impression on us! And that wonderful customer service was present prior to, during, and after our event. This summer activities will slow down while the arena surfaces in the competition areas, both indoors and out are redone. “Our goal to is to be the premier facility in the south eastern United States, so we are constantly making improvements and planning the next phase of this truly amazing complex,” Gorton explained. Activities are planned for the local community over the summer months while the arena footing project is underway. In September, The Jacksonville Equestrian Center will be back hosting major events including the prestigious Southeast Medal Championships. The Jacksonville Equestrian Center is located at 13611 Normandy Blvd, in Jacksonville, Florida. The multi-faceted event center hosts equestrian, sporting, recreational and community events. For information about attending or scheduling events, visit www.jaxequestriancenter.com or call Penny Gorton at 904-573-3649. Jacksonville, FL – September 23, 2012 – The highly-anticipated third and final day of the first Southeast Medal Finals featured the ASPCA Maclay Region Three Finals. A group of 37 skilled riders determined to master Alan Rheinheimer’s course competed for today’s top prize. Traveling away from the in gate, the course opened with a bold oxer to oxer line. The track turned to the left and over a vertical on the far short end of the arena. From here the riders were asked to rollback to fence #4, a vertical on the diagonal, followed by two options for fence #5 and fence #6. With a turn to the right to fence #7, an oxer, the acuteness of which was determined by the options chosen, the route continued with a bending line to an oxer/vertical two stride. Then, a turn to the right took the riders over a vertical on the far short end, followed by an rollback to fence #10 and a bending line to a combination − a pair of natural verticals, then another bending line to the left to a single oxer headed toward the in gate. A turn to the right and through the center of the arena on the diagonal took the track to the final fence of the course, an oxer. Jacksonville, FL – September 22, 2012 – In its second day, the first Southeast Medal Finals received accolades from sponsors, competitors, trainers, family and spectators. It was a day to remember for great fun and top competition. Today’s highlight was the evening class of 31 juniors competing over a technical and challenging course in the Southeast Medal Finals Class. The course began on the far end of the stadium with a single oxer on the short end and continued to the right a four-stride line on the diagonal. Turning to the left the track created an “S” over fence four, a vertical by the in gate, curving around to fence five, an oxer headed in the opposite direction to a turn to the right, a two-stride pair of natural verticals. The riders then had a gallop to the right to an oxer and a bending line to another two-stride, this time, an oxer to a vertical. At this point in the course, the riders had the option of several different approaches to fence nine. Some took the short route with inside turns and some went for a long gallop around the jumps. Either way, it was a tricky fence to find the right distance and many riders lost points there. After fence nine, the course’s path wound back around to the left to the final line, an oxer to vertical. Jacksonville, FL – September 21, 2012 – The long-awaited first-ever Southeast Medal Finals got underway today with much fanfare. Organizers Bob Bell from Classic Company and James Lala from James Lala’s Wellington Quarantine have attended to every aspect of the show to make it special and memorable. A field of 27 talented young riders competed to kick off the show bright and early at 8:00 a.m. in the USEF Pessoa Hunt Seat Medal. The first course of the show was a challenging mix of lines and turns. Starting with a very forward outside line in six strides, the track turned to the left to a single brick oxer near the in gate to a roll back to another brick single oxer. Then, the course took a long gallop and a right turn to a two-stride combination of natural wood verticals to a left turn to another natural vertical followed by a right-hand turn to a white oxer at the far end of the ring and a bending line to the last combination, an oxer to a vertical. “This new venue is superb,” said Course Designer, Alan Rheinheimer. “It’s huge; there’s a lot of opportunity to set the riders up for the Maclay Regionals. All the courses I’ll give them a little in each course of what I might ask of them on Sunday. The judges and I talked it over and discussed what we’d like to see. It was a good test for them.